Books about the assassinations of famous people. A king is killed, usurped by a weak man and his overbearing wife. A ghost haunts the castle, waiting for his son to come and avenge him. On the highlands, three Witches hold their meeting, plotting the future of the kingdom. Sound familiar? It should. 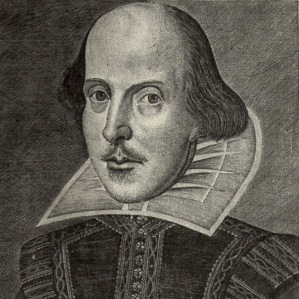 These are some of the most enduring tropes of English literature, and they’re all thanks to a singular playwright. 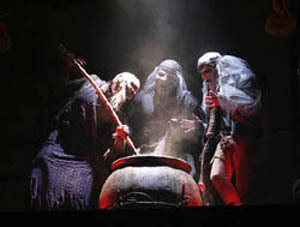 Wyrd Sisters is Terry Pratchett’s tribute to some of the blood and gore and guts, tragedies and twists of Shakespeare’s great plays. In fact, this book encapsulates my three favorite Shakespearean works – Hamlet, Macbeth, and King Lear. Yes, they’re all tragedies, but that shouldn’t surprise any of you by now. They plumb the depths of humanity to try to find glimmers of hope and bravery and redemption, and everyone usually ends up dead, but dead with a true sense of purpose. In this book we have, respectively, a king murdered by his own family, a woman who pulls the strings of the usurper, and a bloody great storm. Verence, the king of Lancre, has been assassinated. An accident, everyone says. He tripped and fell down the stairs, landing on his own dagger. Funny, that. But the new ruler of Lancre, Felmet, is not so steady in his convictions. 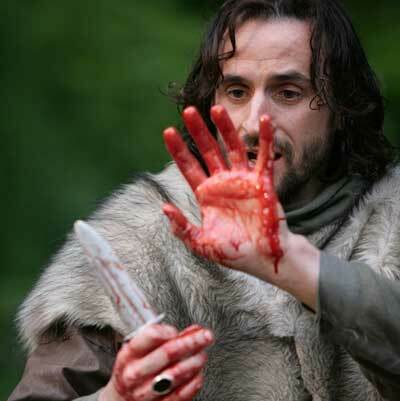 He sees the blood on his hands, although he didn’t do it. He’s absolutely sure he didn’t do the deed. Anyone who says he did do it is likely to be shorter by a foot or so by morning. And his wife wasn’t there either. She didn’t hand him the knife. The point is that Verence is dead, long live the King, and now everyone can enjoy the easy life of a royal couple. However, as so often happens in these things, complications arose. The dead king isn’t allowed to go away. He is confined to unlife as a ghost, unable to contact or interact with the world of the living – except in very small, nearly unnoticeable ways. As his murderers rule over his kingdom, Verence exercises his ectoplasm and plots a way to bring Felmet down. 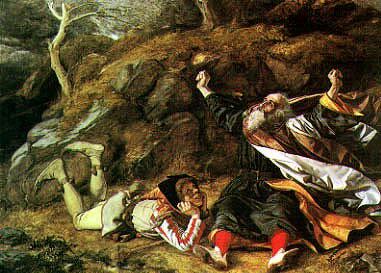 The king’s infant son was stolen after the assassination, you see – brought by a dying man to the home of one of Lancres witches, where he passed the infant to the three women there, and begged them to care for it. They did what some people would think would be the exact opposite – they gave the child to some traveling actors. As alarming as that might seem, they thought that a traveling troupe would be a much better place for a child to grow up than with three of the greatest witches of Lancre. And that would seem to be the end of it, really. The king is dead, with no one to contradict the original version of his death. The infant son of the king is stolen, never to be seen again. By all rights, the kingdom should move on. Assassination, of course, is perfectly natural in Royal circles, happens all the time. The kingdom shouldn’t even blink. But it does. Not only does the kingdom blink, it is furious. Not the people, mind you. The people barely notice a new king, except for the parties and the slight increase in executions. The Kingdom. As a body is an amalgam of cells, a Kingdom is the whole of its people and history. Felmet hates the new kingdom he has acquired, with its gorges and trees and people you couldn’t bully no matter how hard you tried. He hates the Kingdom, and the Kingdom hates him for it. A Kingdom, you see, is like a dog. It doesn’t care if its master is a good man or an evil man, so long as he cares for the dog. Felmet actively detested the land and its people, and in return the larger entity that was The Kingdom hated him right back. In the meantime, Felmet’s Fool, formerly the Fool to Verence, is showing him how words have power, and how that power could help break the animal kingdom he ruled. Cutting the trees down, for example, might be called “horrible” or “terrible” by the people – and the kingdom – of Lancre. But call it, “Planned deforestation for industry growth,” and that’s a whole new story. Words have power, Felmet learns. The Fool eventually goes on to demonstrate the true power of words to the king. Words like that have a wondrous effect. And then there are the Witches, who are a threat to Flemet, in his own mind. He can’t kill them, he can’t torture them. 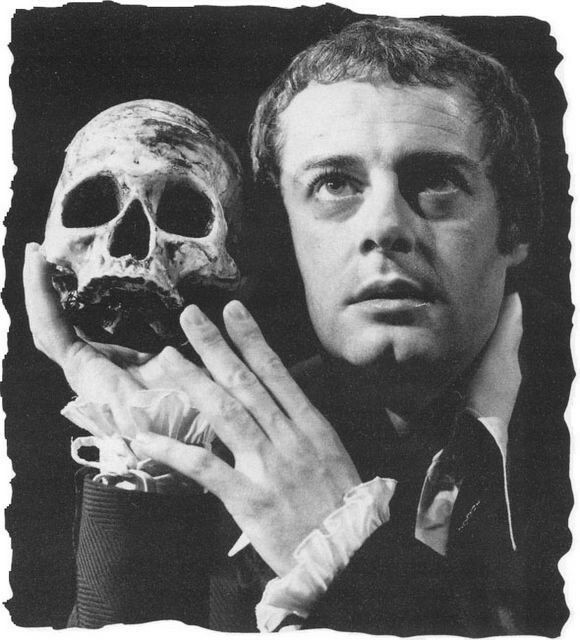 But he can change how people think about them, and so he decides that a play is the way to go…. It gets a little complicated after that, but rest assured, it’s a kicker. Felmet is insane, and his wife is worse. Their plan to destroy the witches of Lancre goes beyond what the Puritans of Massachusetts could ever have come up with – altering their very natures by altering perceptions. And fate sticks her fingers in all over the place, as the Witches try to restore a true leader to Lancre – even if the true leader doesn’t even know who he is. Not only does this book showcase one of Terry’s best characters – Granny Weatherwax – but it takes an interesting look at the way we can alter our perception of things merely by altering what we call a thing. Words shape the world, whether we want them to or not, and the right word in the right ear can shift the balances of history. As with so many of his other books, Terry gives us a profound philosophical insight and shows it to us as something we knew all along. I first saw Sarah Vowell on The Daily Show and I was intrigued by her. This slight, dry, kind of sleepy-looking woman was not who you might expect when you run the words “presidential historian” through your mind (in my mind, “presidential historian” is usually an older man of leisure who’s managed to be lucky enough to turn a passion into a job), but there she was. The fact that she was also really funny impressed me even further. And so, since I have a long-running fascination with presidential history myself, I set out to Mooch this book. And it was well worth it. Being interested in Presidents means a lot of things. For some, it’s the semi-regular top/bottom ten Presidents lists, or comparing one to another in terms of their accomplishments and scandals. Some people develop a fascination with the more obscure Presidents, hoping to rescue their names and deeds from the dustbin of history. Others look to see what kind of social or cultural changes they made in their times. In short, if you want to learn about the Presidents, there are a lot of ways you can go about it. Ms. Vowell here explores the more morbid side of Presidential history, especially the inevitable morbidness of being in history-love with Abraham Lincoln. In the special features section of The Incredibles DVD (she played Violet), you can see that she compares Lincoln to a superhero, and has multiple instances of Lincoln idolatry around her home. She admires Lincoln’s steadfastness and resolve, his determination to hold the Union together, and the humanity that connected him to the rest of the common people. Lincoln, in life, has a great deal to appreciate. Study Lincoln long enough, however, and you eventually get to the sad part – his assassination by John Wilkes Booth in 1865. Sitting in Ford’s Theatre in Washington DC, she was struck by the same thought many people have when they go there – “Wow. This was the place.” She sat in the Chinese restaurant that was built on the site of the boarding house where Booth and his co-conspirators made their plans and thought the same thing. And before she knew it, she was on a pilgrimage, a holy quest to visit all the places involved in the death of Abraham Lincoln. And there are a lot of places to visit, in New York, Illinois, and even off the Florida Keys, to say nothing of the area immediately around DC. Lincoln’s assassination echoed from that box seat in Ford’s Theatre and shook the nation. Of the four Presidents that have been assassinated, most people only really know about two: Lincoln and Kennedy. But there were two others brought down by the assassin’s gun – Garfield and McKinley. So Vowell expanded her pilgrimage to include them as well, giving them the same treatment and respect that she gives to her hero, Mr. Lincoln. Why she decided not to do Kennedy is not explained. Perhaps because it hasn’t been long enough since the event, or because there’s so much controversy surrounding it already…. The book is a nice tour through the lives of one President we all know, and two that we don’t. And it’s all fun to read, which is usually hard to do with history, much less the history of James Garfield. She reveals that each assassination came about by a complex series of events, and was triggered by many things – frustration, anger, despair, madness – and that each one was a tragedy, even if we don’t appreciate them all that much. One of Vowell’s great talents in this field is being able to link things together, so that the decision made by, say, John Wilkes Booth has effects that can be traced to Emma Goldman, and then to Leon Czolgosz. Or how the utopian free love community of Oneida, New York accidentally spawned the bizarre madman Charles Guiteau, and then went on to make rather nice teapots. This is a technique that history teachers need to learn if they’re going to give the world more people like Sarah Vowell – an understanding that history is not a series of isolated events, where you can look at a name, a place and a date and say, “Well, that’s that.” History is an ongoing process, with cause and effect coming one after another, often in strange and unexpected ways. Perhaps if people could see how a single event in the past directly influences the way they live in the present, they’d take more interest. It’s a fun read. If you weren’t interested in history before you read this book, you’ll at least be a little warmer to it afterwards. Also, she won my heart right in the beginning by saying that part of the impetus to write this book was watching Stephen Sondheim’s musical Assassins, which I know nearly by heart even now, so many years after it was put on stage back at Siena. Every now and then she’d sprinkle a bit from the musical into the book – Charles Guiteau was a hoot – and I’d smile knowingly. Must listen to that again….